Congee (粥 or 稀飯) is a classic Chinese breakfast dish, though it is also a staple in many other countries including Burma, Indonesia, Japan, and even parts of Europe. Congee is essentially a rice porridge made by boiling rice in a great deal of water until it breaks down into a pudding-like consistency. It can be made sweet or savory. Although eaten by all family members, it is most often served to children and people who are ill or convalescing as it is nutritious and easy to digest. It's also a great way to make rice go a long way when food is scarce. Congee is often served with Chinese crullers (youtiao, 油條), which are fried dough, that you dip into the congee. There are three methods for cooking congee, each of which results in a slightly different texture. If at any time you feel your congee is too thick, you can add a little boiling water to the mixture. In a large pot, bring the water and rice to a boil. When the rice is boiling, turn the heat down to medium-low. Place the lid on the pot, tilting it to allow the steam to escape (the same as you would do when making cooked rice). 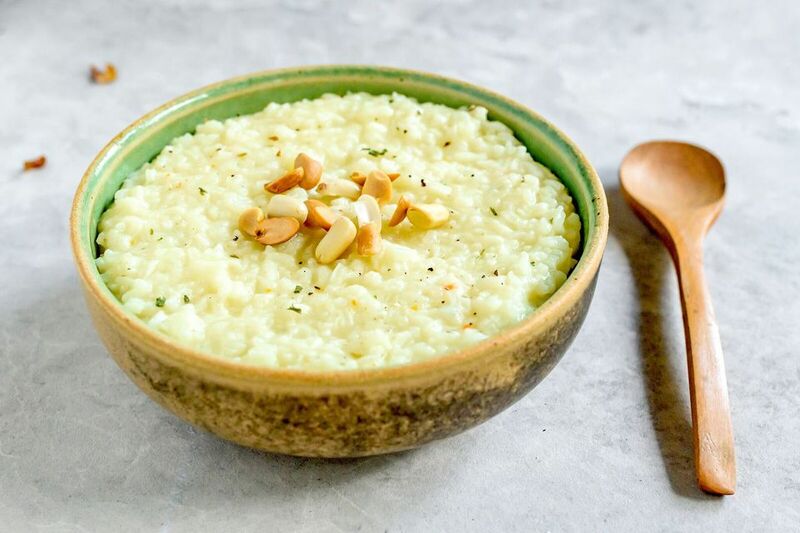 Cook on medium-low to low heat, stirring occasionally​ until the rice has the thick, creamy texture of porridge; this can take about 1 to 1 1/4 hours. Add the salt, taste, and add any seasonings if desired. Serve with garnishes such as crushed peanuts if you like. Rinse and wash the rice and soak the rice in the water for 30 minutes; then drain the water. Add 1 teaspoon of oil to the rice and mix evenly. Adding oil can help the rice cook quicker and also make the congee smoother and softer in texture. Boil the water and add the rice. Turn the heat down to medium and keep stirring the rice for 5 minutes. Turn the heat to low, put on the lid, and simmer for 45 minutes. You can tilt the lid to allow the steam to escape. In theory, frozen rice cooks faster and produces a smooth, even congee. You may need to experiment to determine if this works for you! Rinse and wash the rice and soak the rice in water for 30 minutes; then drain the water. Put rice into a freezer bag and freeze for 2 to 3 hours. Boil 1 liter of water in a large pot, and then add the frozen rice into the boiling water. Bring it to a boil again, lower the heat to medium, and cook for 15 minutes. Turn off the heat and cover with the lid; let sit for 15 minutes before serving. There are no rules about what you can add to congee. Typically people add meat, fish, vegetables, and herbs. You can also add shredded lotus root and gingko nuts. You can make a sweet version of congee with raisins, Chinese dates (jujubes), and a bit of rock sugar.